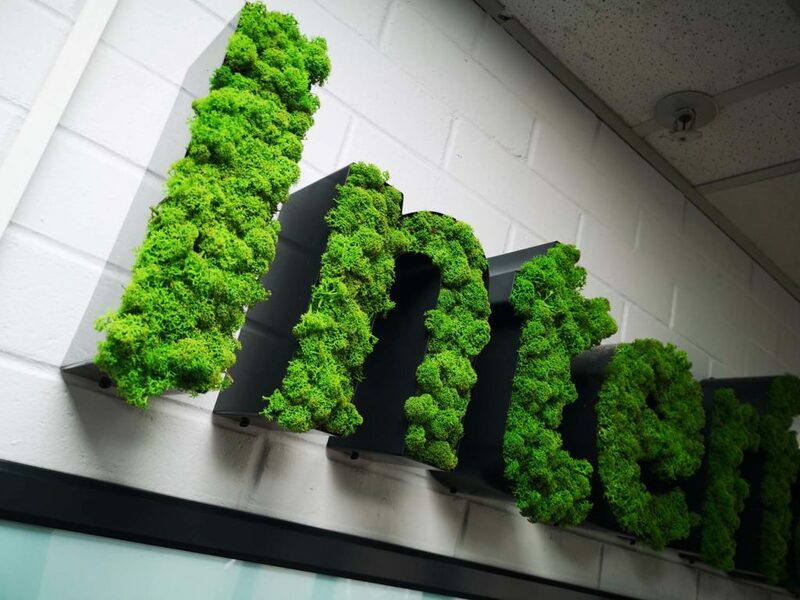 Home >> News >> Living Signs! 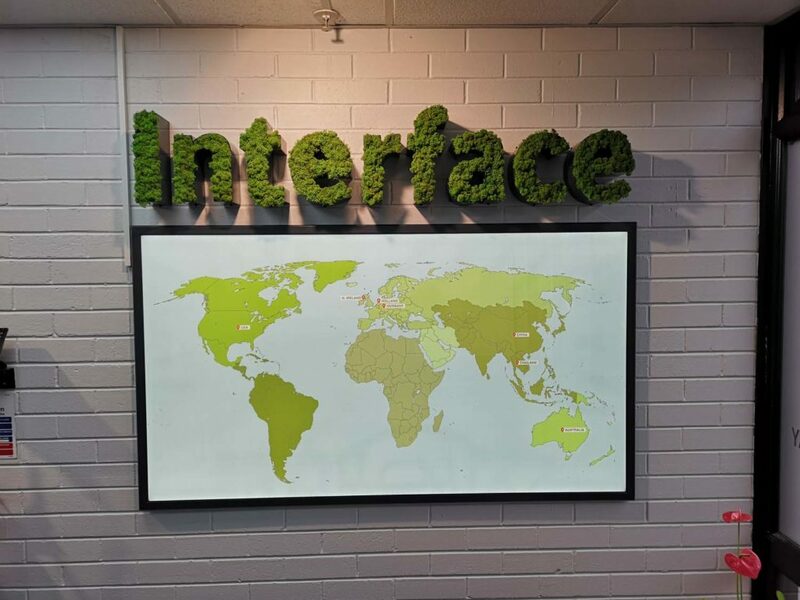 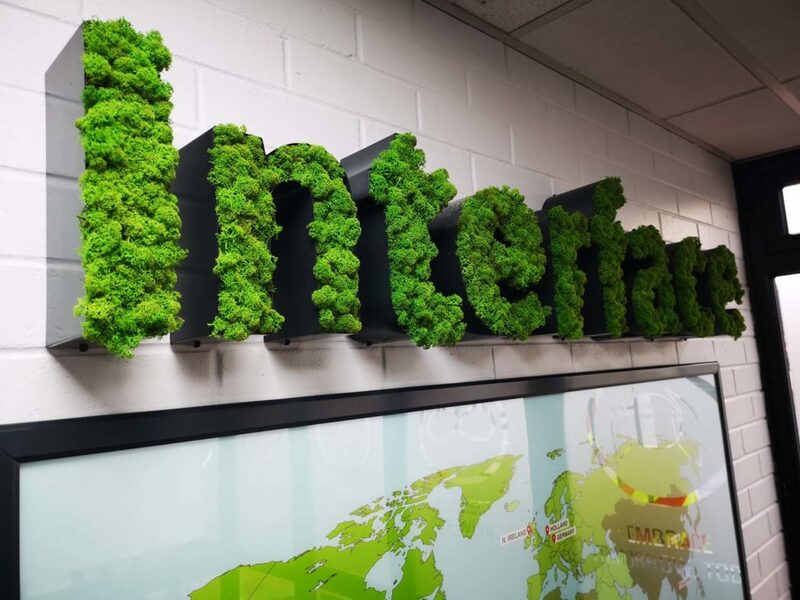 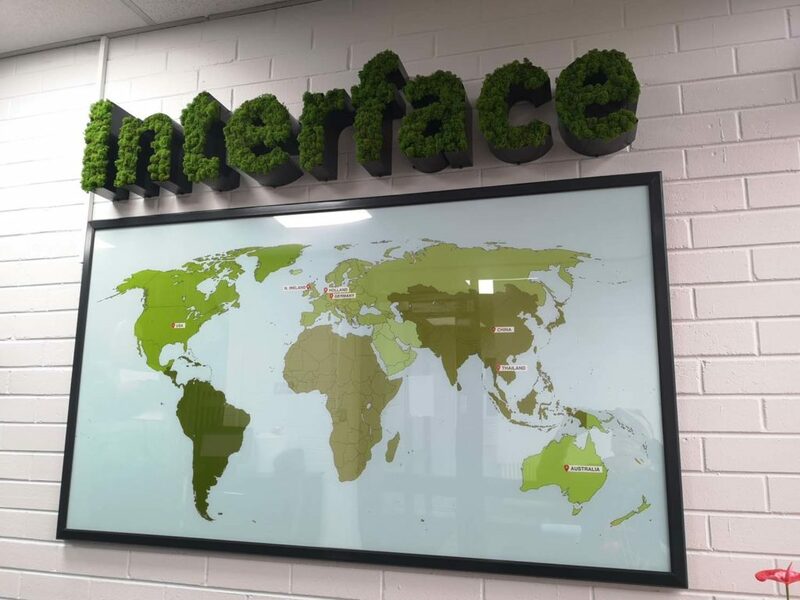 LE Graphics are delighted to have completed a rather unusual sign installation for world wide carpet manufacturer Interface in the reception area of their Northern Ireland factory based in Lurgan. 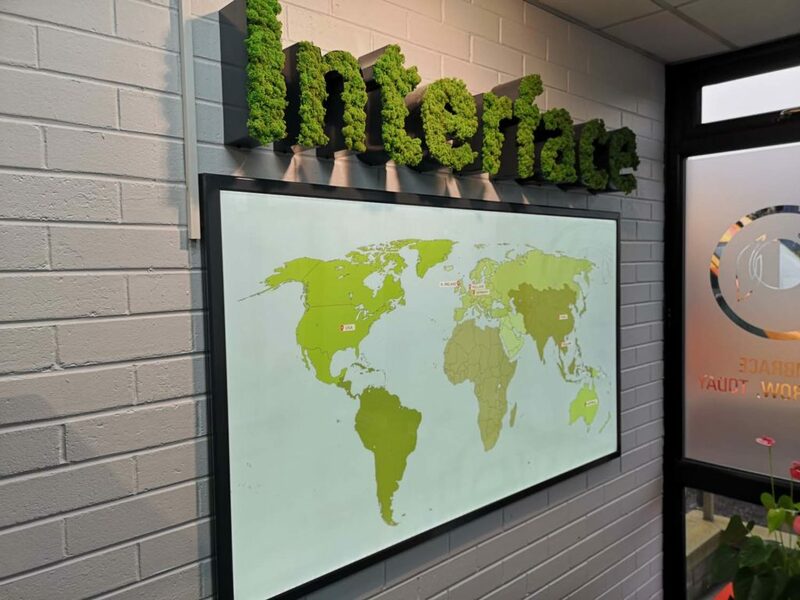 The main feature signage comprises of the “Interface” brand logo made from built-up aluminium letters which have been powder coated in one of their corporate colours. 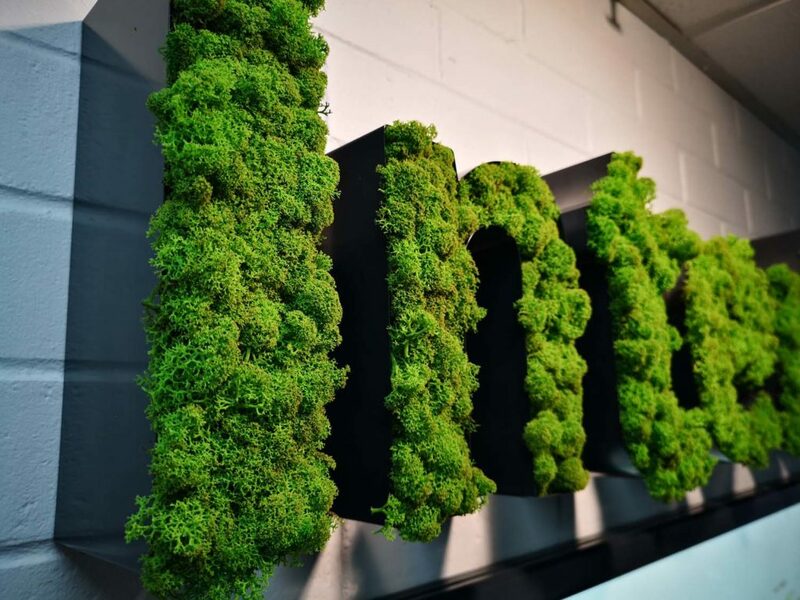 Each letter is then filled with brightly coloured Reindeer Moss (Cladonia rangiferina). 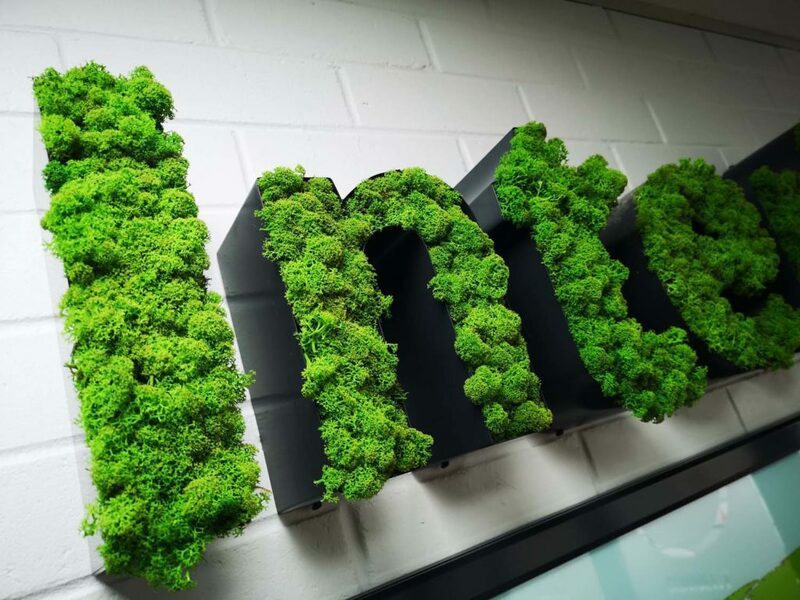 The moss has been carefully harvested (from sustainable sources) and specially preserved. 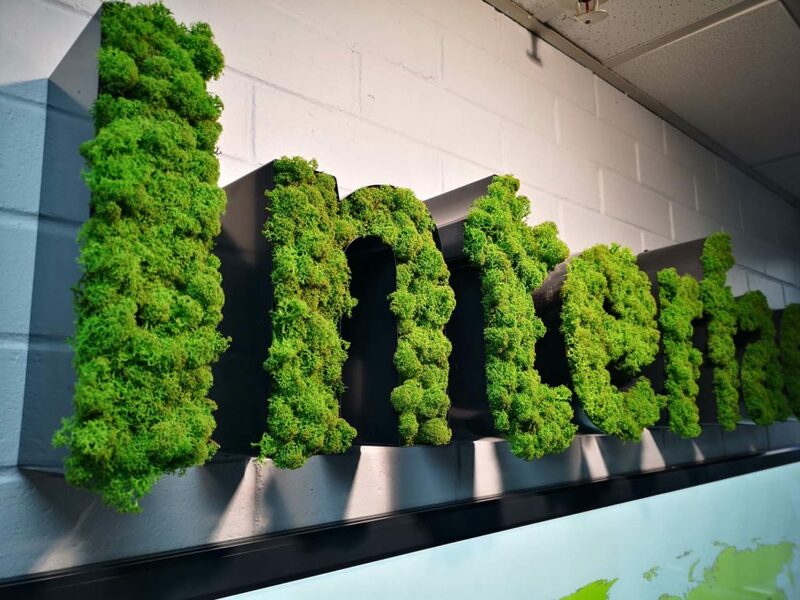 It requires no care or maintenance and creates a beautiful “living letter” appearance. 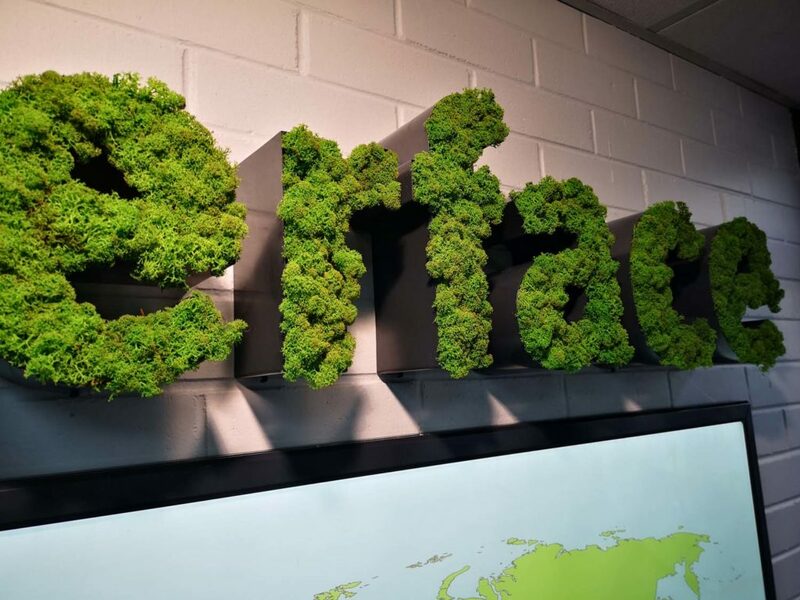 We can make letters and logos in almost any shape, style or size using this method. 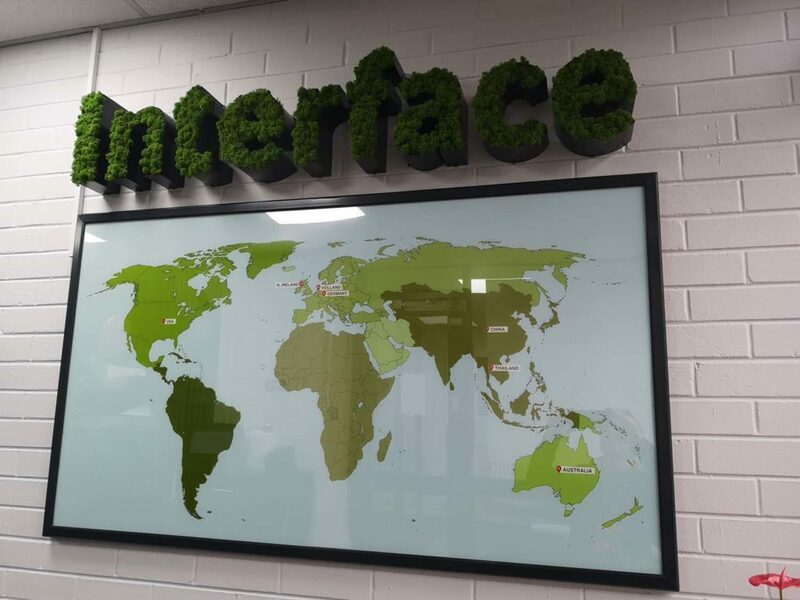 To compliment the new sign Interface also needed to display a map showing the location of their manufacturing facilities worldwide. 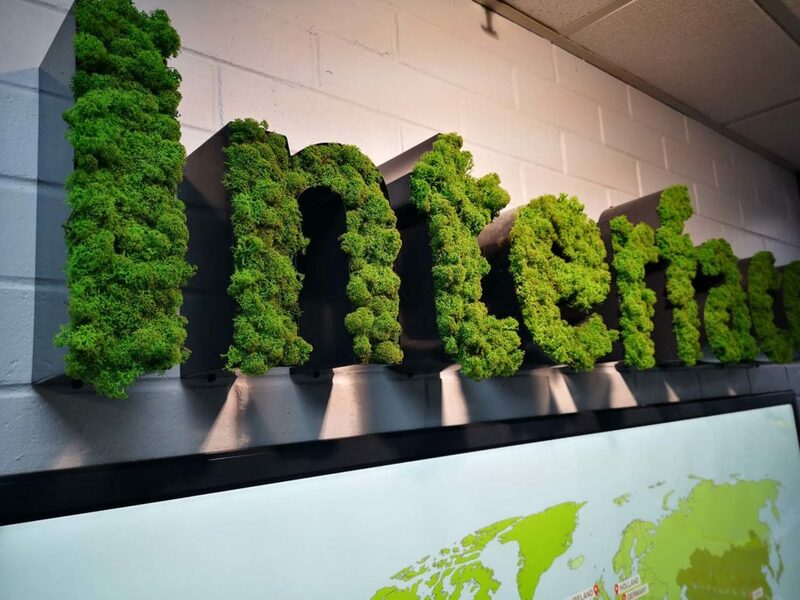 for these made an ultra thin back-lit snap frame using low energy LED light sheet technology. 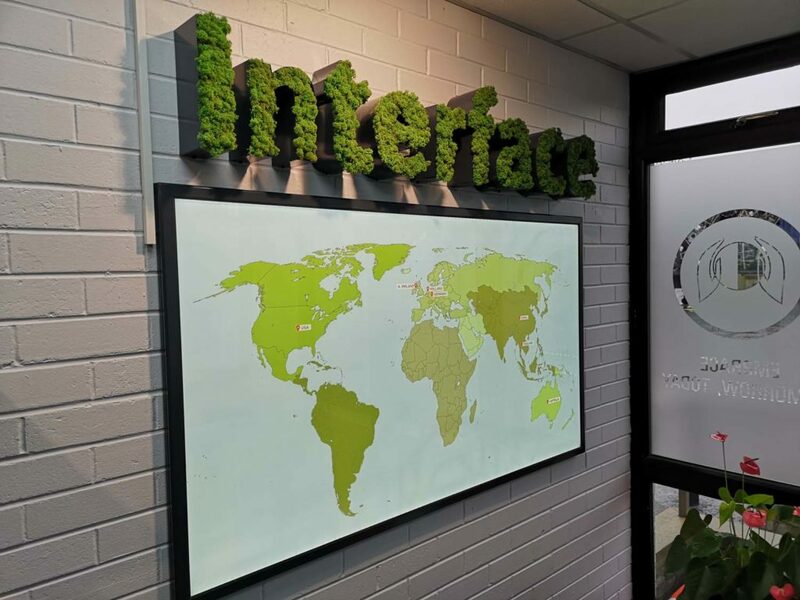 The frame which is powder coated in the same colour as the letters will hold a back lit transparency print which is easy to change in under 60 seconds. 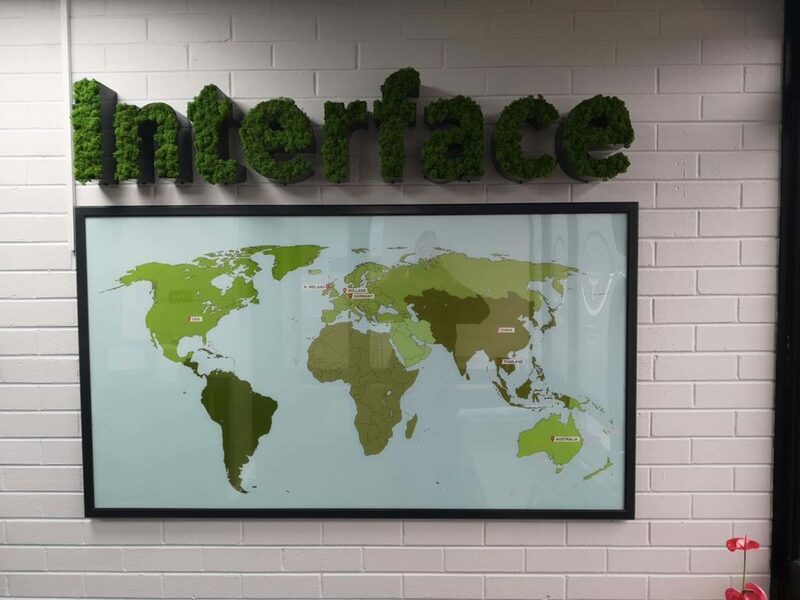 Using LED edge-lit technology ensures a bright even illumination with no hot-spots and the simplicity of changing the graphic means that displaying seasonal or even motivational messages is a breeze.